Different technology with a great 3d effect. 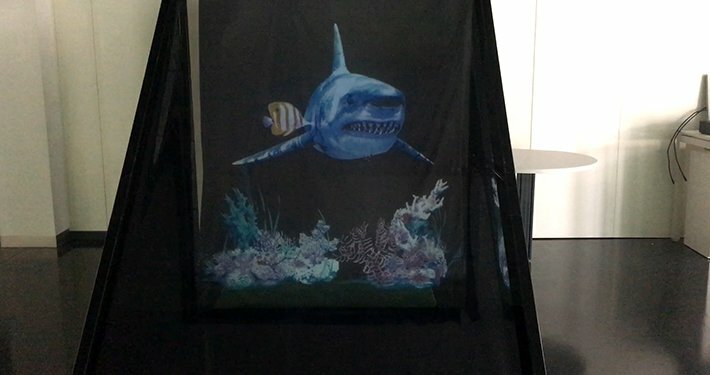 Possibly the largest holographic display on the market. 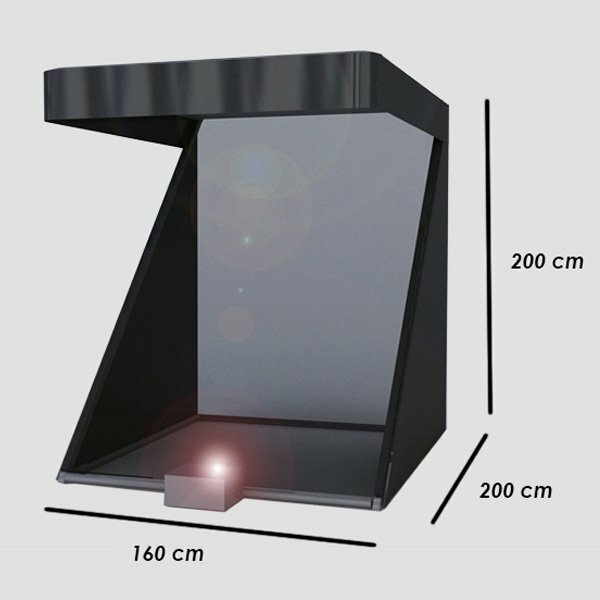 This model is designed to play large dimension holograms. 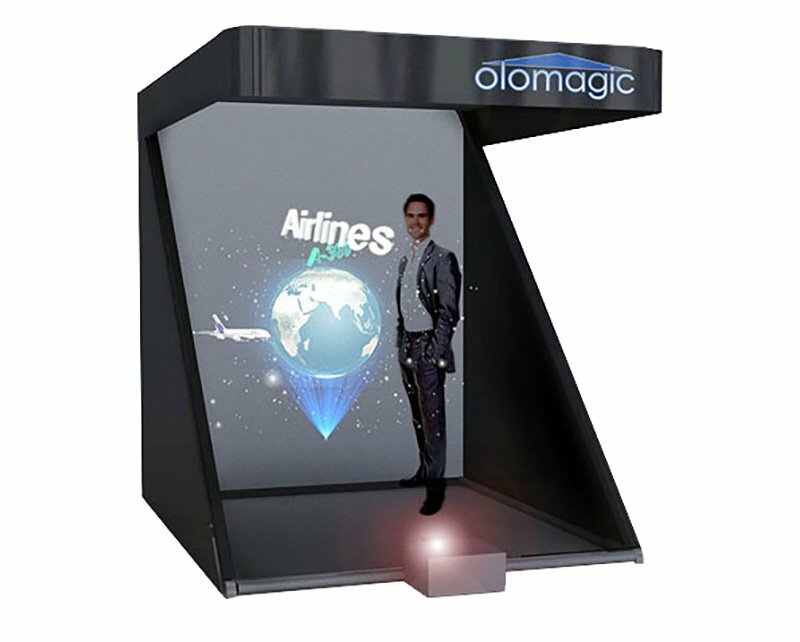 Create a 3d holographic presentation and the speaking engagement or conference is sure to be magical. Your event will never be forgotten. 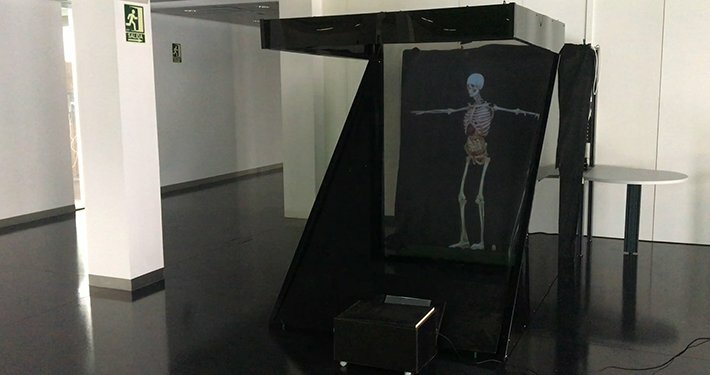 The display can create three-dimensional images in mid-air. It has a simple and elegant design. This model creates a large visual impact on the spectator or consumer. The holographic vision of 90º provides ample perspective of the product combining real physical objects with holographic 3d images. This model can be customized according to company needs. 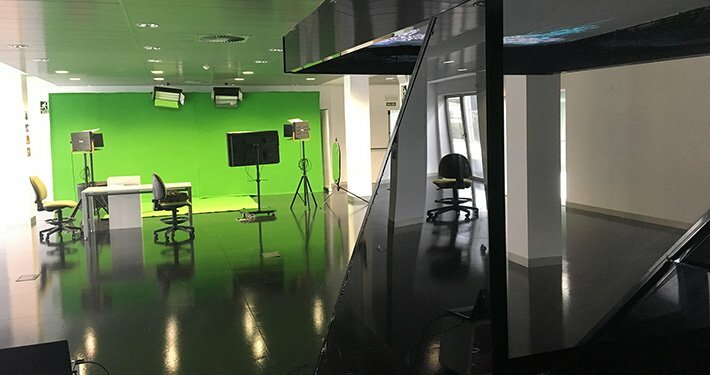 Our production department can create an impressive holographic effect with your products or you can upload our free content. It can be used for product presentations and promotions. Just copy the animation on the USB driver and play. Please tell us about your project and our team will be happy to assist you. 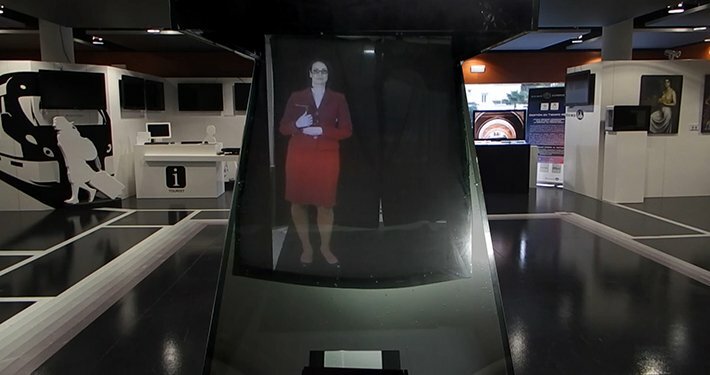 Holographic vision 90º and resolution in Full HD. 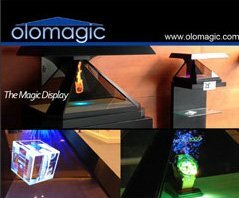 Possibility of combining physical products with holographic images.